This simply isn't a very exciting dish. Definitely not the kind of thing to make for company, no. But it makes an easy one-pan-throw-everything-together-and-go meal, which is sometimes what you need on a Sunday night when your monkey mind is too busy obsessing over tomorrow being MONDAY to deal with fancy cookery shenanigans. 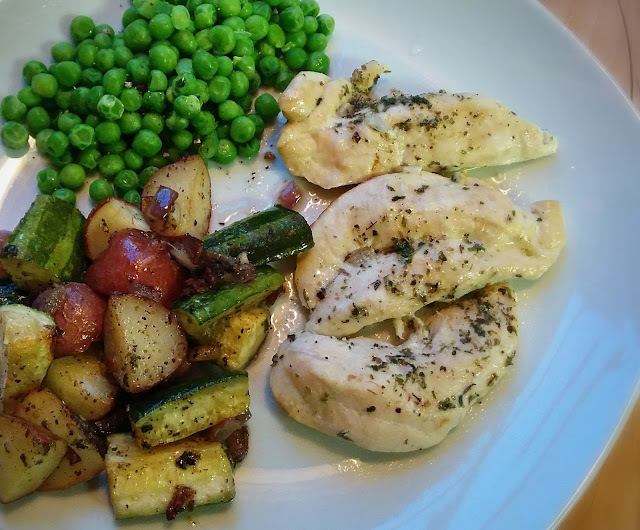 I would really like go back to having proper Sunday dinners and not these catch-as-catch-can meals centering around speed and the opportunity to use up iffy ingredients -- like the spongy zucchini and sprouting potatoes in today's chicken dish. But my life is a bit topsy-turvy at the moment and, really, I suspect I should just be happy the chicken wasn't off! Preheat oven to 400°F. While oven is preheating, add butter to a large baking dish or pan and place in the oven to melt. When oven is at temperature, remove pan and stir garlic and onion into melted butter. Add chicken and vegetables to butter mixture, toss to coat, then spread out in pan, trying not to crowd. 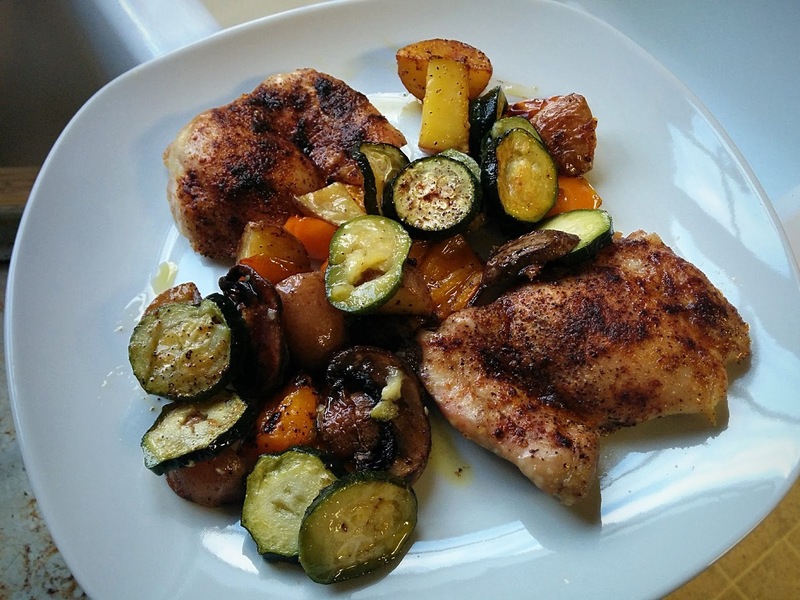 Sprinkle chicken and vegetables with seasonings and bake, uncovered, at 400°F for 15 minutes. Remove pan from oven. Give everything a good stir 'round and baste the chicken with pan juices. Return to oven and continue baking for 10 minutes. Remove pan from oven and serve. If you have a thing about butter, you could certainly use olive oil in this recipe. I happen to have a bunch of random cuts leftover from various baking projects and they keep falling off the "butter and egg" shelf and beaning me on the head when I yank open the fridge door. Yes. I'm blessed, I know. Waaaay back in March (!) our monthly Okashi Connection Japanese confectionery box included a Kracie "Umi no Gumi Zukan DIY" aka "Sea Creature Gumi Picture Dictionary" gummi candy construction kit. I'd never made anything like it before, but thought it might be fun to do ... later ... when I had time. 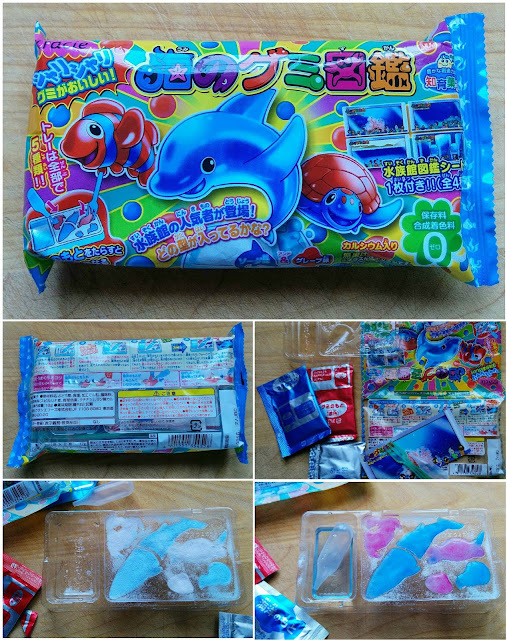 Of course, I forgot all about it and it ended up at the bottom of the Big Green Bag of Leftover Okashi Stuff that lives in the hall closet. 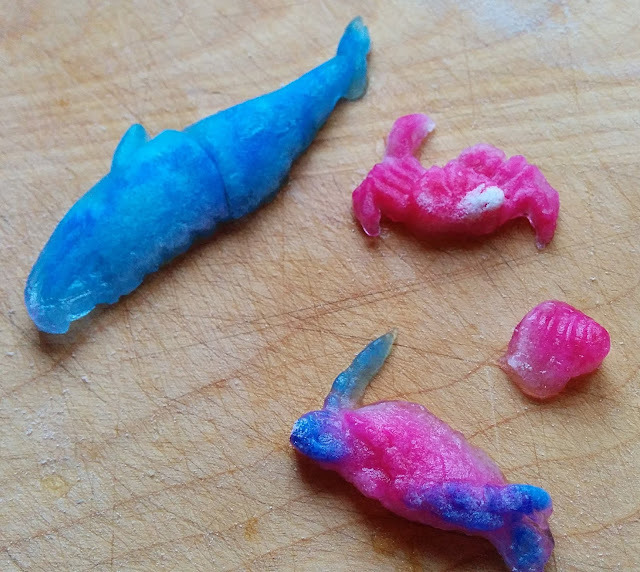 One thing AwesomeDisneyToys does not mention in his video, but I learned the hard way, is to pick up the mold after you've dripped the magic activator solution allover your sea creatures and look up through the bottom to see if the solution has sunk all the way through. If you see dry pockets of powder, add a bit more activator solution. Otherwise, you'll end up with a crab who, like mine, looks like it has a shell condition. That said, you still need to be careful about not using too much activator solution because, if you use too much it will take forever for the gummies to set. This is a photo of my gummies, removed from their mold 20 minutes after I added the activator solution, and you can clearly see they are still rather wet. But what do they taste like? A slightly gritty jelly version of marble soda. Definitely something eight-year-old me would tolerate better than thirty-eight-year-old me. I think I'll treat future gummi DIY strictly as a craft -- not a culinary -- project. 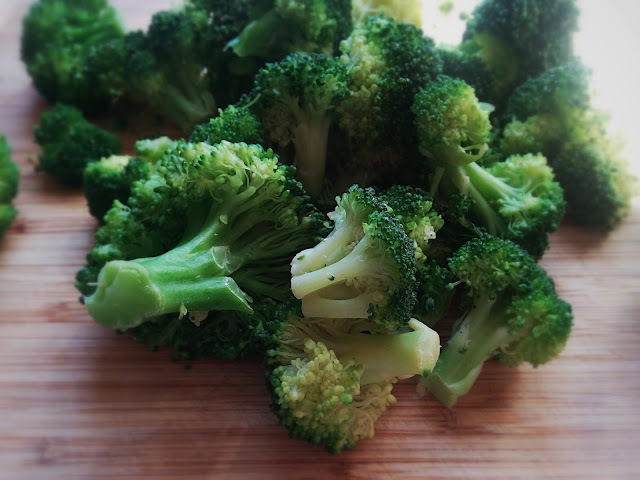 I'd overbought fresh broccoli and undercooked for the week, so this morning I was faced with a bag of fresh broccoli florets and a desperate need for two day's worth of work meals. I considered a broccoli pasta salad verrrry briefly, realizing the other ingredients I wanted to add to it -- artichoke hearts and sun-dried oil-packed tomatoes -- were not to be found in my kitchen. Some kind of broccoli and pasta hot dish, then? I did have surfeit of pasta, after all. Broccoli mac?! 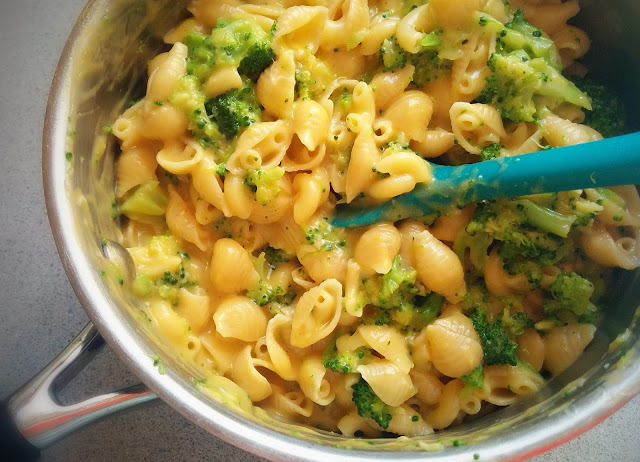 Broccoli mac! I used my standby recipe for quick macaroni and cheese -- Campbell's Kitchen's "Fastest Homemade Mac and Cheese" -- as it was only five ingredients (if you count water as an ingredient) and the pasta cooks in the sauce. It is the fastest (nonbox) macaroni and cheese I've ever made and there's only one pan to clean up. 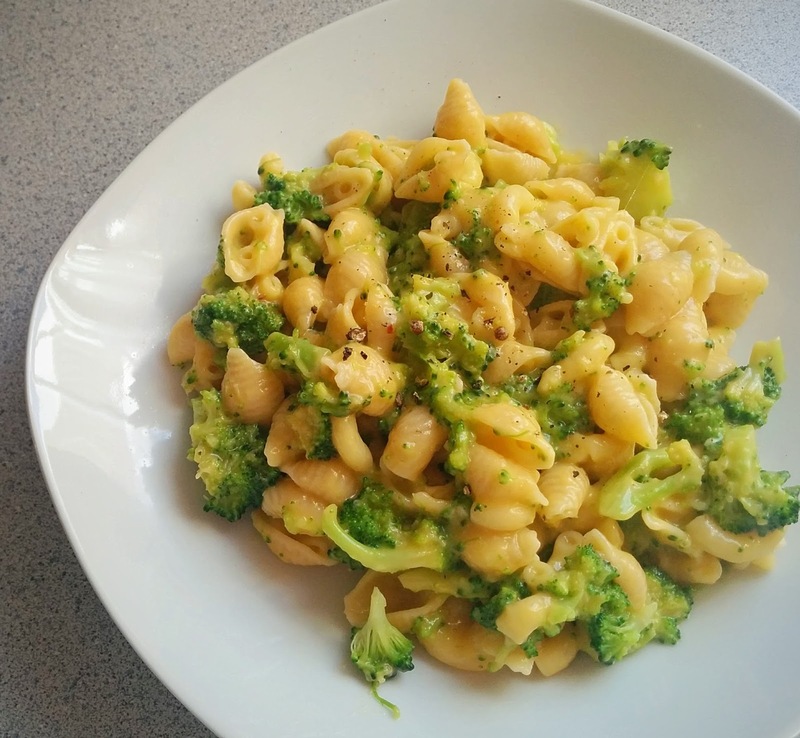 I steamed the bag of broccoli florets in the microwave according to the directions on its packaging, using the minimal time so the broccoli retained a little bite, and then coarsely chopped the cooked florets so they'd distribute more evenly throughout the cheesy mac when mixed in. Because I had several open containers of pasta, I used a mix of small shells and elbows. The cooking times listed on their boxes were the same, so I knew they'd be okay together in the pot. The cheese is a mix of leftover house brand shredded "pizza blend" and Cabot Sharp Light Cheddar. The "pizza cheese" blend melted wonderfully (as expected) and helped give the mac the delightful gooeyness I crave in macaroni and cheese, while cheddar added a sharp bite. After I'd stirred everything together, I found the cheesy mac -- while certainly creamy and cheesy -- was still a little lacking so I added roasted garlic powder, black pepper, and a generous squeeze of sriracha. Instant yum! For years Granny Weatherwax had been contented enough with the challenge that village witchcraft could offer. And then she’d been forced to go travelling, and she’d seen a bit of the world, and it had made her itchy -- especially at this time of the year, when the geese were flying overhead and the first frost had mugged innocent leaves in the deeper valleys. She looked around the kitchen. It needed sweeping. The washing-up needed doing. The walls had grown grubby. There seemed to be so much to do that she couldn’t bring herself to do any of it. There was a honking far above, and a ragged V of geese sped over the clearing. 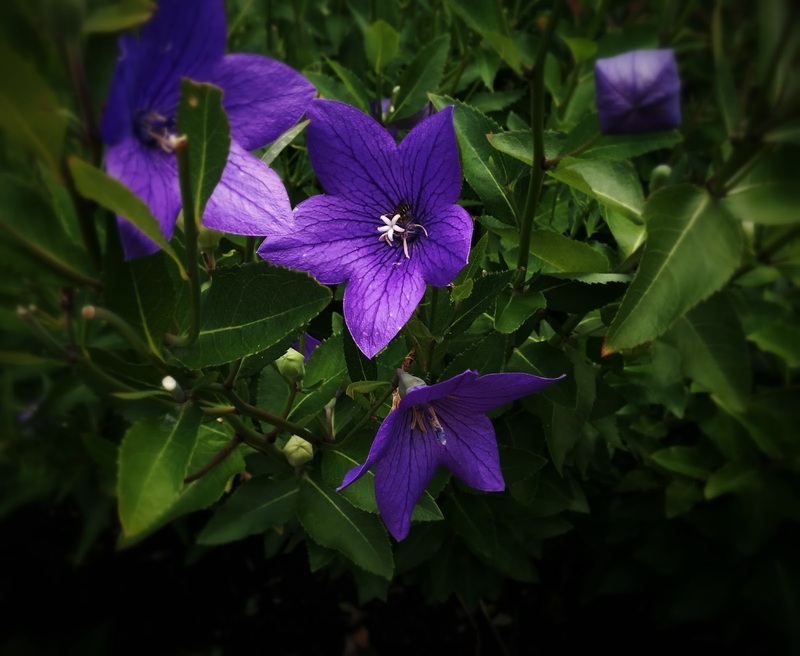 They were heading for warmer weather in places Granny Weatherwax had only heard about. In preparation for Chocotoberfest, I went cleaned out and reorganized my baking cupboard. For days afterward I was so smugly pleased with myself … until I went to get something from the front closet and realized there was a box of baking supplies on the top shelf. Yes, waylongtimeago, I had more dried fruits and nuts than would fit in the baking cupboard so I threw them in box in the closet and then (conveniently) forgot. Yes, these are almost all leftover fruitcake ingredients. While they’ve in the closet and I don’t need to go crazy trying to use them up ASAP, their very existence keeps ... hanging over me ... making me feel mentally itchy and uncomfortable in the same way crowded spaces do. It’s easier to just bake a fruitcake (yes, fruitcake in September) and use them up than teach myself to live with them. Also, I'm going into the hospital soon (October 5, but my monkey brain keeps treating it like tomorrow), so my general level of anxiety has changed from it's usual low level "background noise" to something resembling a prickly hedgehog lodged in my chest. Am I desperately trying to distract myself with baking? Hell, yes. Since I had all the ingredients -- probably because I fully intended to make this fruitcake last winter -- I made Paula Deen’s "Ambrosia Fruitcake" from Cooking With Paula Deen, Nov/Dec 2008 issue collected on the DVD Cooking with Paula Deen, The Complete Collection (2005-2012). 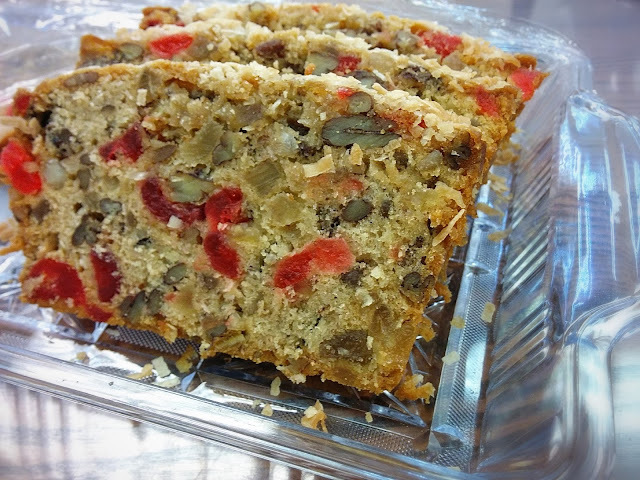 I’ve made four of the five fruitcakes featured in that issue now and, while the "Tropical Fruitcake" remains my favorite, the "Ambrosia Fruitcake" runs a close second. Because I didn't have quite enough candied orange peel on hand -- the recipe calls for 2 cups and I had a scant ½ cup -- I added in candied lemon peel and citron until I reached the required amount. I'm sure this changed the flavor of the fruitcake somewhat, but it was still very good -- moist and tropical tasting with the candied cherries lending a welcome burst of red against the general beige-i-ness of the cake. The article says all the fruitcakes can be baked in two 10-inch loaf pans rather than one 10-inch tube pan. Usually I just bake the fruitcakes in the tube pan, then cut the baked ring into quarters and send it along to work, parents, etc. 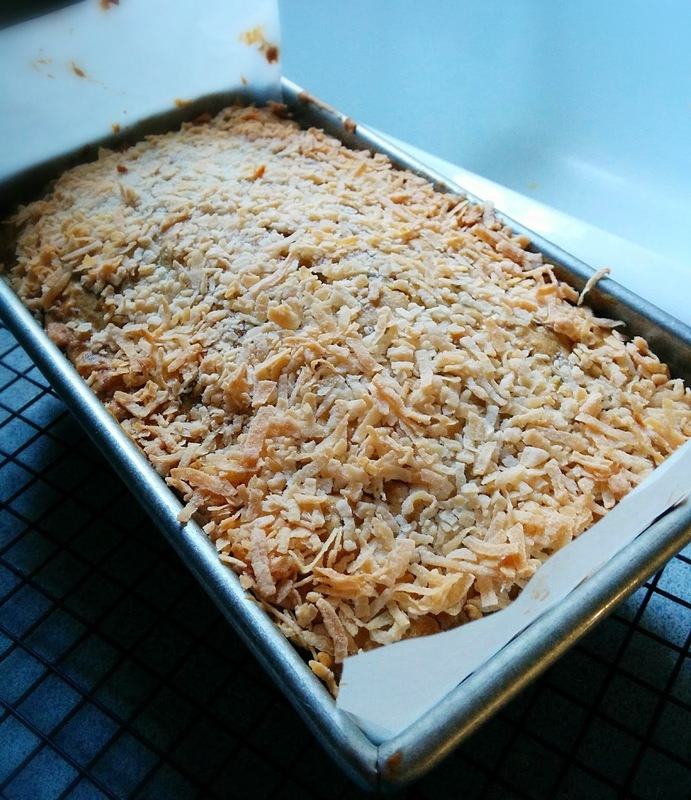 Since it's September, however, I thought I'd do the loaf pan method and then store one, wrapped in coconut rum-soaked cheesecloth and foil in the fridge until December to see what would happen. Hopefully, what happens is that I have a delicious rum-soaked cake just when I need one! 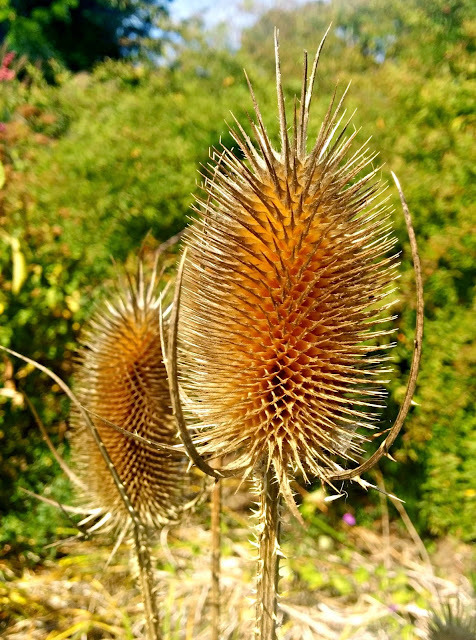 Spiky gold teasel seed heads. 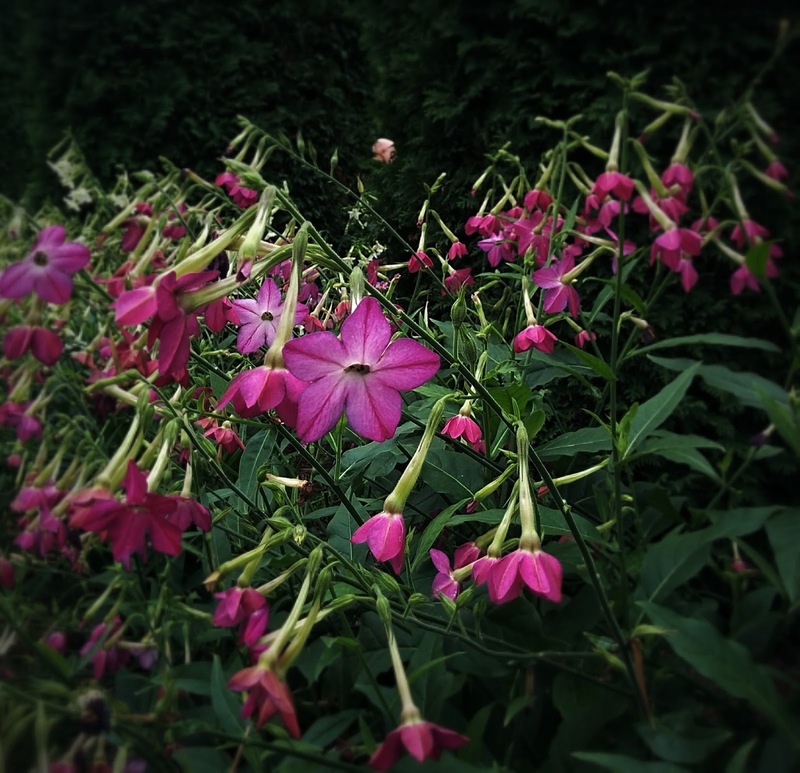 Striking plants, but undesirable as they crowd out native species. End of the week, no idea what the weekend may bring, and the crisper drawers still hold far too much highly perishable produce. What to do? Roast them. With some chicken. Because not everyone wants a big plate of roasted vegetables for supper. Weirdos. 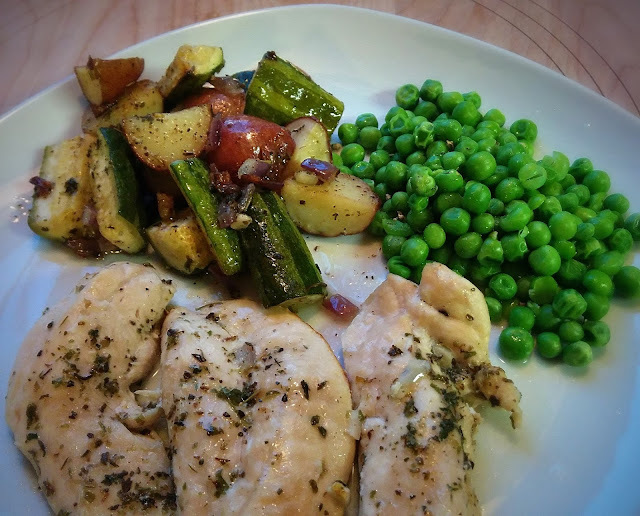 The package of boneless skinless thighs I used contained five thighs -- we had two apiece for supper and I enjoyed the remaining one with a bunch of the leftover vegetables for lunch the next day. Obviously, serving sizes are arbitrary so ymmv. Brush baking pans with olive oil. Distribute chicken and vegetables among pans, trying not to crowd. Season generously. Roast, uncovered, in 45°F oven for 25-30 minutes or until chicken has reached 165°F and potatoes are tender. The Disappearance of Nagato Yuki-chan is light-hearted slice-of-life-style romantic comedy about a first-year high school student who is so sweetly shy/earnest/awkward/nerdy that it's impossible not to root for her whether she's trying to save the literature club or coming to grips with her feelings toward her classmate and fellow club member, Kyon. In this volume there's a lot of emotional silliness involving Kyon, although he seems pretty obliviousness to it. Which is either because he really is a clueless high school student or because he's been written as flat as cardboard. The only time Kyon seems particularly dynamic is when their mutual friend Ryouko is in the mix, deliberately trying to wind-up Yuki by "flirting" with Kyon. (While I really empathize with Yuki, I simply adore Ryouko. She's so ... bossy ... and fun. And I never doubted for a minute that she didn't always act with Yuki's best interests at heart. She's a true best friend). In many ways, The Disappearance of Nagato Yuki-chan is a completely ordinary story. But. There is a little bit of weirdness between Yuki-chan and a Santa Claus-obsessed girl from another school which could be completely innocent but could turn out to be something else altogether (and I'm not talking nascent lesbianism here). It's hard to tell right now whether I'm not supposed to "get it" because that girl is an evolving plot point or because she's part of the another, unread, series. Yes, that's right. 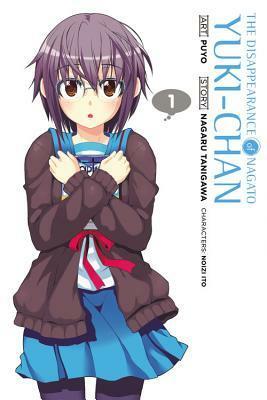 The Disappearance of Nagato Yuki-chan, Volume 1 is apparently a spin-off of the manga series The Disappearance of Haruhi Suzumiya. I have not read that series, but Yuki-chan seems to stand up well enough on its own -- despite Santa Claus girl! There are eight volumes in the Yuki-chan series, so I'm guessing it comes to be a complete universe in its own right, anyway. 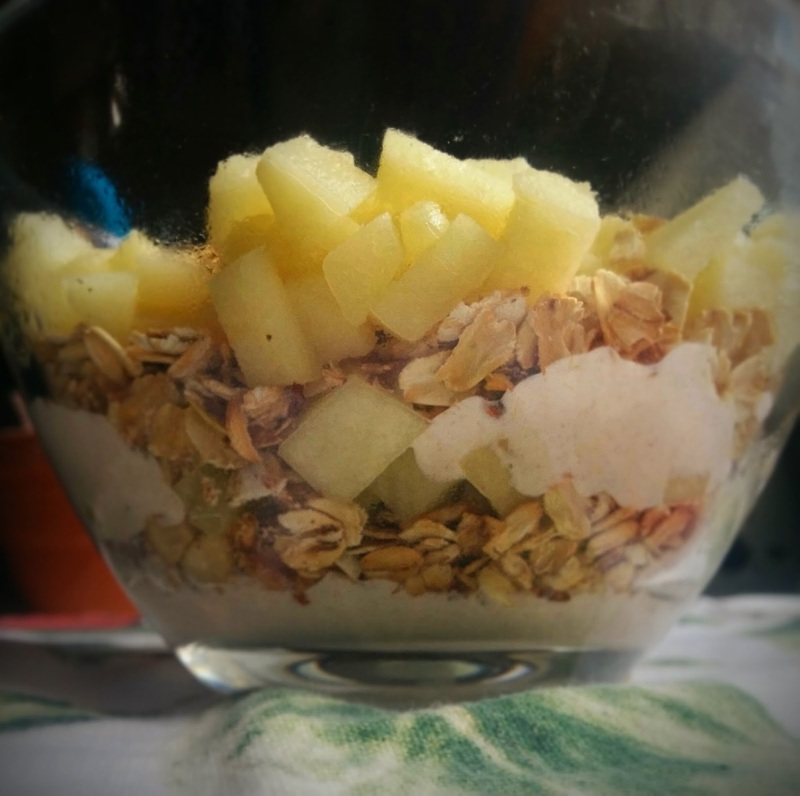 Thinking about it, I now realize I've actually made an extra posh version of apple cinnamon Chobani Oats! Whether it's cranachan or a Chobani-clone, it tastes pretty fine! The toasted oats and almonds give the dish a really satisfying texture, the apples are sweet-tart, and the creamy, cinnamon-y yoghurt binds it all together. Admittedly, whipped cream would definitely be more fun, but the yoghurt is a flavorful and healthful substitution. If you omit the brandy, this dish is appropriate for breakfast. If you leave the brandy in, it makes a delightful companion when marathoning The Crimson Field. Warm a heavy skillet over medium heat. Add the oats and cook, carefully stirring to avoid burning, until they smell nutty and are lightly toasted, about 2-3 minutes. Remove oats from pan and set aside to cool. Repeat oat-toasting method with almonds, being careful to keep a close eye of them as it will take much less time to toast them. Remove nuts from pan and set aside to cool. Whisk together the vanilla yoghurt, honey, and half the cinnamon and brandy. Set aside. Heat a nonstick saucepan over high heat, add the butter, and sauté the apple for 2-3 minutes. When the apple begins to soften, add remaining tablespoon of brandy and cook, stirring, until the liquid has evaporated. Remove from heat and allow to cool. 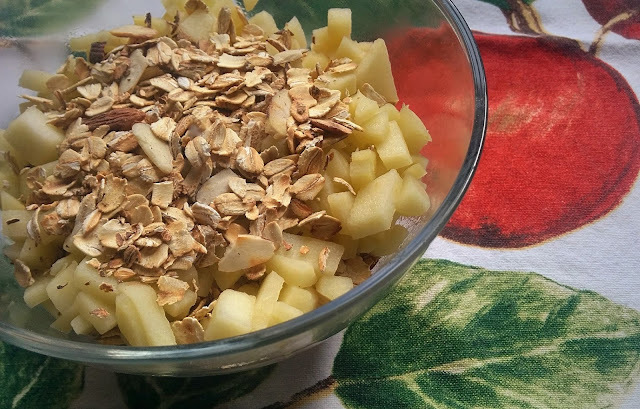 Combine the cooled oatmeal, nuts, and remaining half teaspoon of cinnamon. Layer the yoghurt mixture, oat mixture, and apples in a bowl and serve. (You could also skip the layering and simply mix everything together, but it may not look as nice). 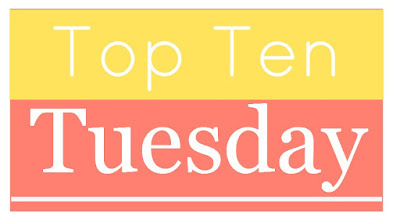 This week's Top Ten Tuesday is a freebie! As I have become quite obsessed with the birds that visit our feeders, I've created a list of nonfiction books for bird lovers. I've actually only read three of the nine books on the list, but the other six are books I do want to pick up. Eventually. When my TBR pile isn't already threatening to consume the house. I've been browsing a lot of "old-timey" British cookbooks (blame The Great British Bake-Off) and have become quite smitten with puddings (which are generally quite different from American pudding). A fool seemed a good place to start as fools are fairly straight forward since they are, in their most basic form, little more than whipped cream folded into pureed fruit. Cream. Fruit. What's not to like? And, if you're concerned with the amount of fat in the heavy cream, do what I did -- clean out the garage, cutting up piles of cardboard and cursing at the gigantic (and extra-creepy) spiders! A few hours of that leaves me so itchy, sweaty, and dirt-encrusted that I am completely certain I deserve heavy cream. I used my Kitchen Aid Professional to make this fool as it really speeds things along. If you don't have a stand mixer or hand mixer or stick blender, a chilled metal bowl and hand whisk will work just fine, obviously, but it will take a bit longer to whip the cream. The amount of sugar you use in the fool is dependent on the sweetness of your berries. My blackberries were almost overripe and bursting with sweetness so I mashed them with a single teaspoon of sugar. 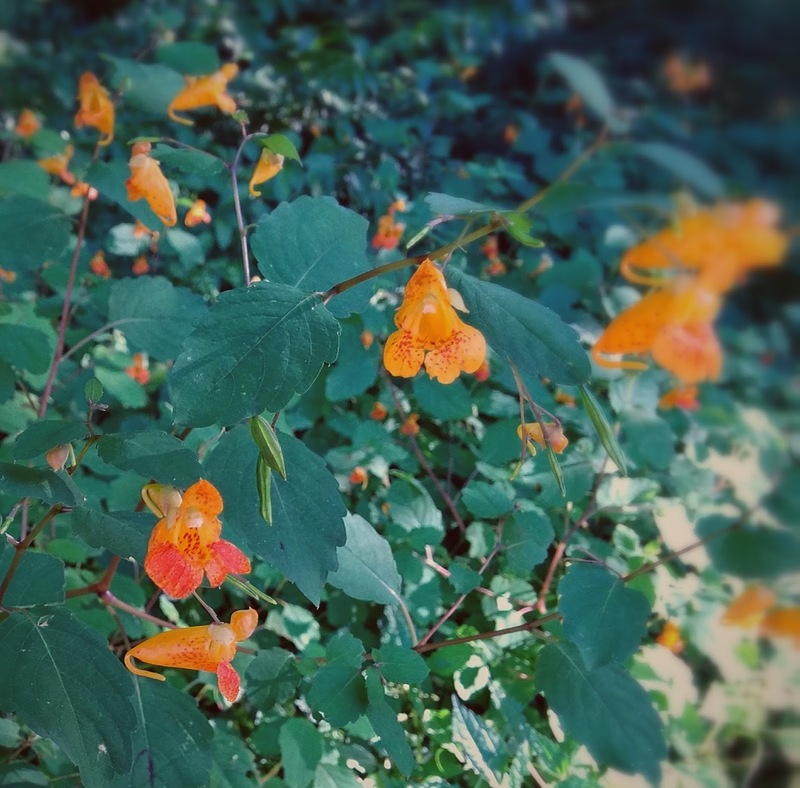 Less ripe/tarter berries may require more sugar, depending on your taste preferences. 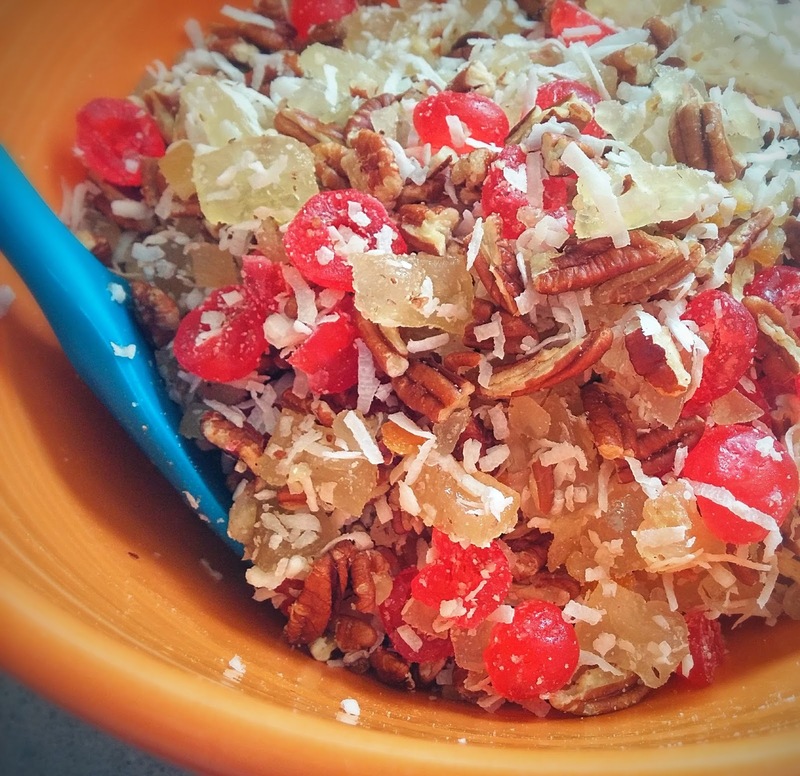 Obviously, any berry (or mix of berries) would work well in this recipe so get experimenting! Put the bowl and whisk attachment of your stand mixer in the freezer. Mash most of the blackberries (reserve a few for garnish) with the mint, lemon juice, and one teaspoon of sugar. Set aside for about 20 minutes so the flavors mingle and everything gets a bit juicy. Using the chilled bowl and whisk, whip the cream with the remaining sugar and vanilla crush. 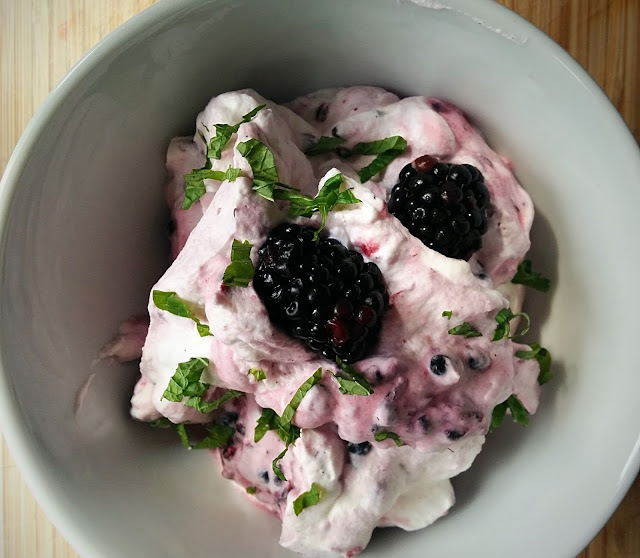 Gently fold the whipped cream and blackberry mix together to make a purple-colored cream. 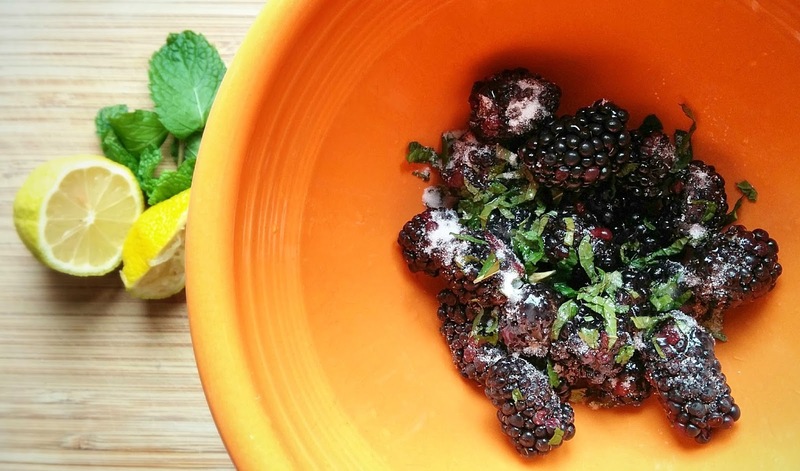 Garnish with additional mint and remaining blackberries. Nom! 1864 London. 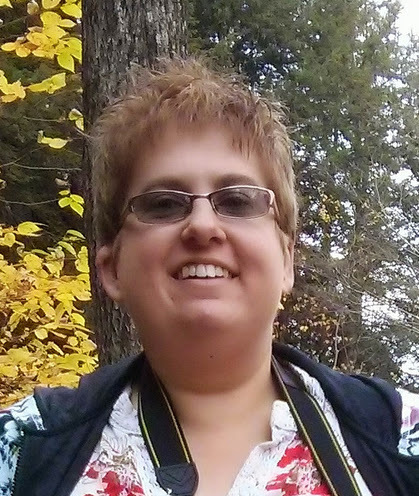 Lizzie Newton is a young woman of good breeding who pens mystery novels using the nom de plume "Logica Docens." She doesn't really fit the Lizzie-shaped hole society has made for her and is a bit of an odd duck, but those closet to her seem to love her as she is and she gets along. And then there's a murder. A proper locked-room manor house murder, at that. And, of course, the police (those bunglers!) can't be trusted to investigate it themselves. No, Lizzie must investigate. Using the super-awesome crime analysis lab she built in her basement and the skills of her fiancé, the once-famous-barrister-turned-family butler. If only everyone would stop being short-sighted, sexist fools and let her get on with things. 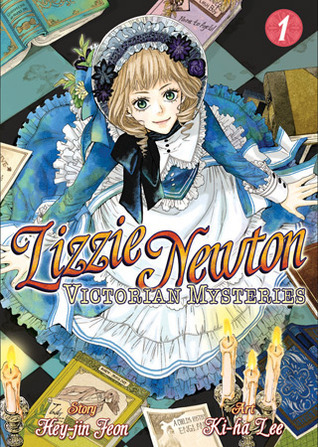 There's kind-of a lot going on in Lizzie Newton: Victorian Mysteries which I'm not surprised by, it being the first volume in a six volume series (of which only three are available in the US??). I appreciate the author set the novel in 1864 London, enabling a delightfully Victorian setting while still putting the story far enough back that Sherlock Holmes and Lizzie aren't bumping into each other at crime scenes! The illustrations are well done -- the characters look like they belong in the 1860s (the hats!) and I didn't notice any glaring anachronisms set-wise. Lizzie is a bit too SHOUTY and modern for a young lady of her age, but as a crime-solving manga heroine she seems pretty average. There's a certain repetitiveness to her interaction with certain characters -- especially her fiancé -- which I hope will be smoothed away as the series finds its feet. But again, only the first two (of six!) volumes available in the US, so is it even worth picking up the second volume? Ugh. This is why, as a completist, it is so important to research series before purchasing them or picking them up from the library. I've owned a Calphalon panini pan for yonks now and only very recently discovered the blessed thing is oven safe to 450°F. Do you know how liberating that is? No more transferring of ingredients to a baking dish. No, just grill the whatever, add the other ingredients to the pan, and whack the whole thing in the oven. Granted, it might look nicer at the table in a baking dish, but this isn't a nice-enough-for-company meal, anyway. It's an UGH-I-am-so-tired-what's-easy meal. While singing "Les Poissons," pound the chicken flat with a mallet. Sprinkle both sides of the chicken with fajita/taco seasoning. Grill the chicken until it develops some nice color and grill marks. 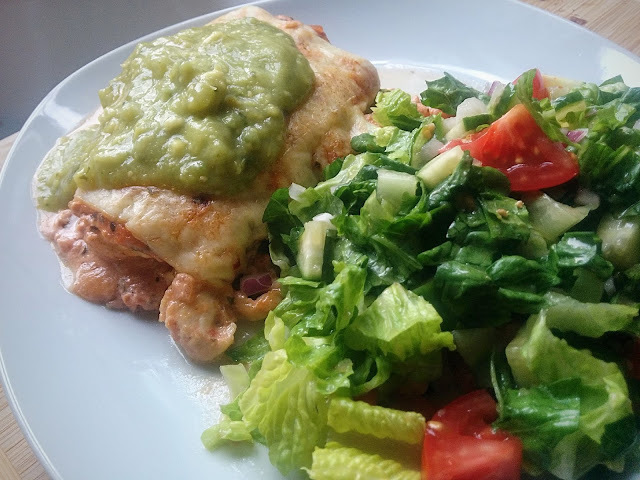 Mix the salsa and yoghurt; pour over the chicken and top with cheese. 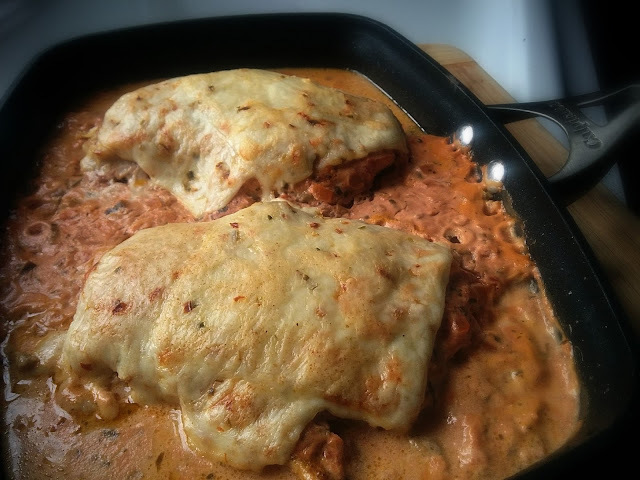 Bake uncovered for 20 minutes or until chicken has reached 165°F and cheese is melted. Top with guacamole, as desired, and serve. So many series left unfinished! My husband doesn’t understand this at all, but I get ... anxious ... about finishing series I love. Indeed, the more I love a series, the harder it is to complete it. One reason is that once I’ve read that last volume, that’s that. The end. Fin. No more beloved series. 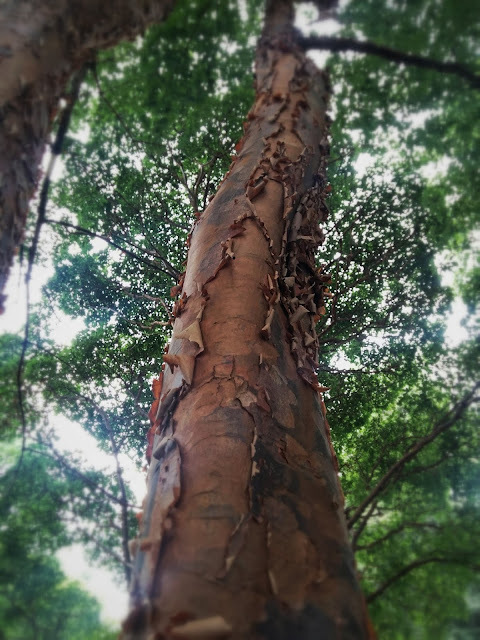 Another reason – what if the ending is just no good ?Disappointing? Flat out crap? That’s going to taint my memories of the series for all time! (Also, there are just some series (Wheel of Time, A Song of Ice and Fire, etc) that have grown so big and sprawling that the thought of continuing on to the end fills me with exhaustion and dread. Ugh. Reading should not be tiresome). Chaos Walking by Patrick Ness. Yep. Still haven’t read the first or second book. When did I read the first? 2012. Did I love it? Yes, I did. Did it leave me emotionally wrecked? Yes, it did. The Discworld by Terry Pratchett. I Shall Wear Midnight was the last book I read and I didn’t enjoy it as much as I’d anticipated so I keep putting off Raising Steam and The Shepherd’s Crown. Dragonriders of Pern by Anne McCaffrey. 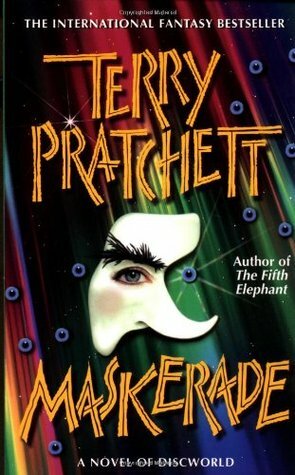 I’ve read the original trilogy plus the Harper Hall trilogy, Renegades of Pern, and Nerilka’s Story, but then I stopped because it seemed as if all the books that followed were there to flesh out Pern’s back-story and (at the time) I didn’t care about spaceships or computers. The Hunger Games by Suzanne Collins. I lovedlovedLOVED The Hunger Games and Catching Fire, but keep putting off Mockingjay because it’s the last book and then there will be no more *cries* and I have been told, repeatedly, that Mockingjay’s not very good. 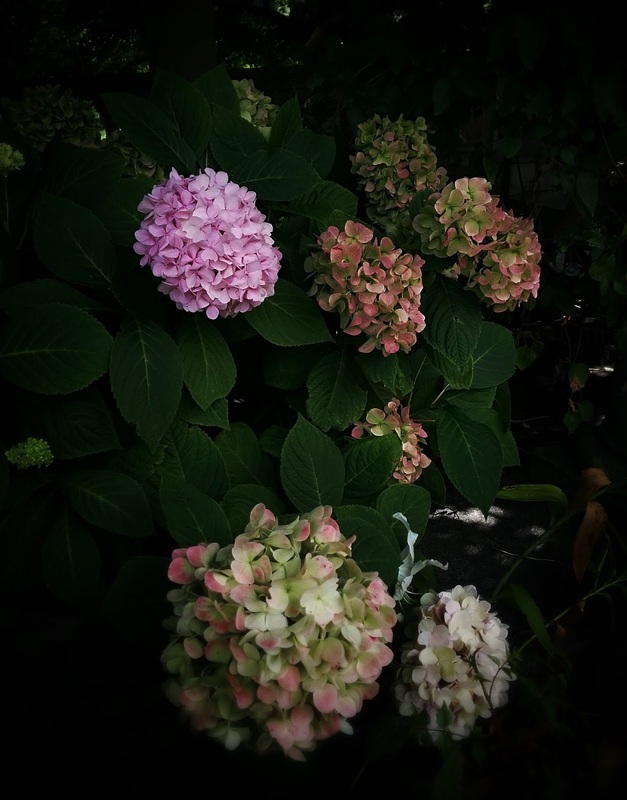 Pink Carnation by Lauren Willig. I read up to and including The Seduction of the Crimson Rose (Book Four), then skipped ahead to read The Mischief of the Mistletoe (Book Seven), and just stopped. The series was beginning to feel a little predictable and the contemporary framing story never interested me. Sally Lockhart by Philip Pullman. I adored The Ruby in the Smoke and The Shadow in the North. Found them in my school library and devoured them I don’t know how many times. It never occurred to me there might be more books. The Southern Vampire Mysteries by Charlaine Harris. I’m not even sure where I stopped with this series. I remember the events of Dead as a Doornail quite clearly, but nothing after that feels familiar. We just started watching True Blood, so I might take the series up again. Or not. The Wheel of Time by Robert Jordan. It’s just so BIG and sprawwwwling. I’ve definitely read through Book Seven, A Crown of Swords, but it was so long ago I’m quite certain I’d have no idea what was going on if I picked up Book Eight, The Path of Daggers, today. Time Quintet by Madeline L’Engle. I’ve read A Wind in the Door, Many Waters, and A Wrinkle in Time. I feel as if I should go back and read A Swiftly Tilting Planet and An Acceptable Time to complete the quintet but ... I haven’t. Sherbet lemons. Pear drops. Nougats. Rock. Humbugs. If these words don't thrill you or fill your heart with nostalgia-tinted joy, Sweet Shop of Dreams is probably not for you. Oh, ostensibly this is a romance novel about a woman who goes to take care of an ailing elderly relation in a twee rural English village, becomes entangled in the daily lives of the townsfolk, and finds True Love quite unexpectedly. And it is that kind of story. But it's also very much a love song to sweetshops with each chapter prefaced by an excerpt or recipe from Lilian's sweets book. This is the first novel I've read by Colgan since I read Talking to Addison and Amanda's Wedding over a decade ago. I don't understand the gap as I really enjoyed those two novels and had every intention of reading more. And yet here it is many years later, Colgan has written many more of books, and I've read none of them. Clearly, I need an app that will track the authors I enjoy and regularly remind me that it has been X many months since I read anything by them. (I DO NOT need it to tell me about forthcoming books. Dear heaven, I am buried in forthcoming titles). So. The book. You want to hear about the book. It's a sweet little confection. Light and airy like meringue with just a hint of bittersweet feels running through it to keep it from treacle-sweetness. 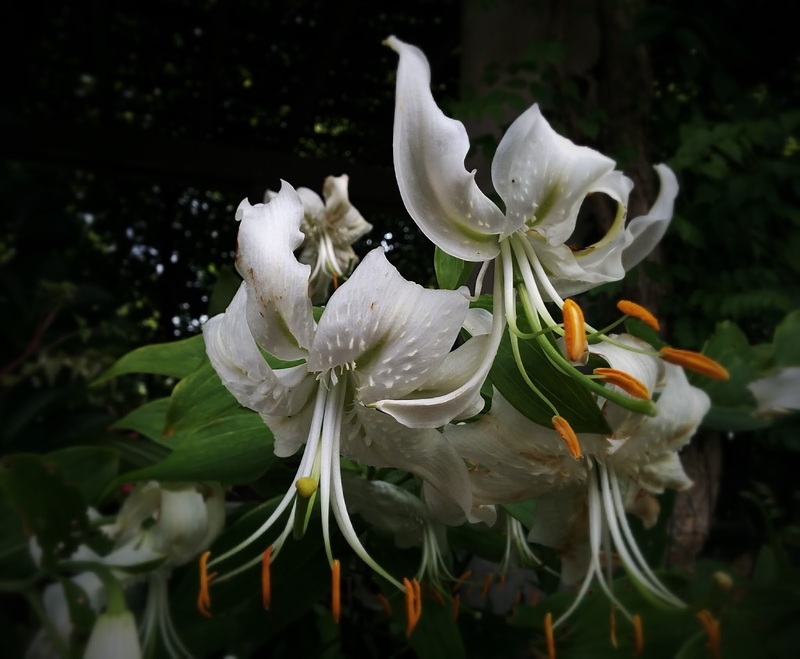 Great Aunt Lilian is a delightful character, but her story is -- unlike Rosie's -- not so clearly a happy one and her end-of-life circumstances lend a poignancy to the novel that it would otherwise lack. Unfortunately, while Colgan has done such a great job bringing her primary and secondary characters to life, her "bad" characters are surprisingly undeveloped. Yes, the dentist hates sugar and wants to turn the sweetshop into a carpark. I understand. I don't need to be reminded of that every time he walks across the page. What else is there to him? Nothing. The same with Hester and CeeCee. All and all, though, I really enjoyed Sweetshop of Dreams and look forward to reading Christmas at Rosie Hopkins' Sweetshop if I can find a copy of it stateside. While Colgan is a prolific writer and seems popular enough in the US, some of her works are not available here. 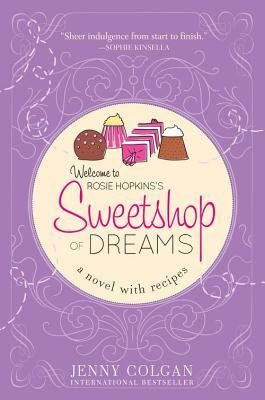 Weirdly, in the UK Sweetshop of Dreams was published as Welcome to Rosie Hopkins' Sweetshop of Dreams. American publishers, what gives? Why change a perfectly good title? And the British edition has a much more attractive cover with proper sweets jars on it and everything! Why?! Bought a container of Trader Joe's Healthy 8 vegetable blend -- a mix of chopped cabbages, carrots, broccoli, jicama, bell peppers, radishes, and celery -- last week on a whim (when will I learn to stick to the list?) and was definitely at a loss as to what to do with it once I got it home. As the blend is full of high-fiber vegetables, I didn't want to just toss it in a salad because that way was bound to lead to gastric upset and self-recrimination. After too many wandering thoughts, followed by an angry moment of "ohmygodjustdoSOMETHINGwithitalreadyitsJUSTFOOD," I ended up sautéing half the container in splodge of bacon fat until tender and then added in a pound of browned grass-fed ground beef and two cups of garlicky, home-made tomato sauce. It was a surprisingly tasty combination, but I didn't want to make it again with the other half of the Healthy 8 blend, because repetition breeds indifference and, the second time around, I was likely to go "meh" and leave it to moulder in the fridge. So I made this. Which kinda-sorta has the flavors of a stir-fry, but isn't actually a stir-fry. Whatever it is, it's definitely tasty! While I cooked the vegetables until fork-tender so that none of my delicate flower insides could take issue with it, you normal types with fully-functional digestive systems might prefer to leave your vegetables a bit on the crunchy side. Lucky so-and-so's that you are. Heat olive oil in a large skillet. Add garlic and onion and cook, stirring constantly, until fragrant. 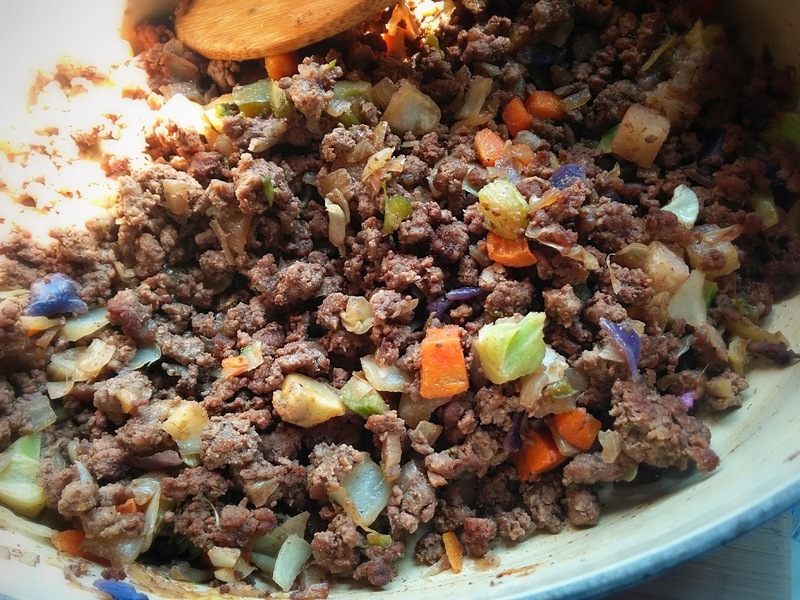 Add ground beef and cook until beef is no longer pink. (Feel free to drain any fat from the pan at this point). Add 5-spice powder, black pepper, sesame oil, soy sauce, and Healthy 8. Cook, stirring regularly, until vegetables are to your liking. Adjust seasonings, if necessary, and serve. If you're not using lean beef, you may need to drain the fat from the pan before adding the seasonings and Healthy 8. The grass-fed beef I've been buying from Trader Joe's is lean enough that it doesn't leave much fat behind and so I haven't been draining it after browning.